Our Sourwood Honey comes from Sourwood Trees. Here you can see one in the early stage of flowering at one of our apiaries in Morgan County, TN at the end of June, 2016. 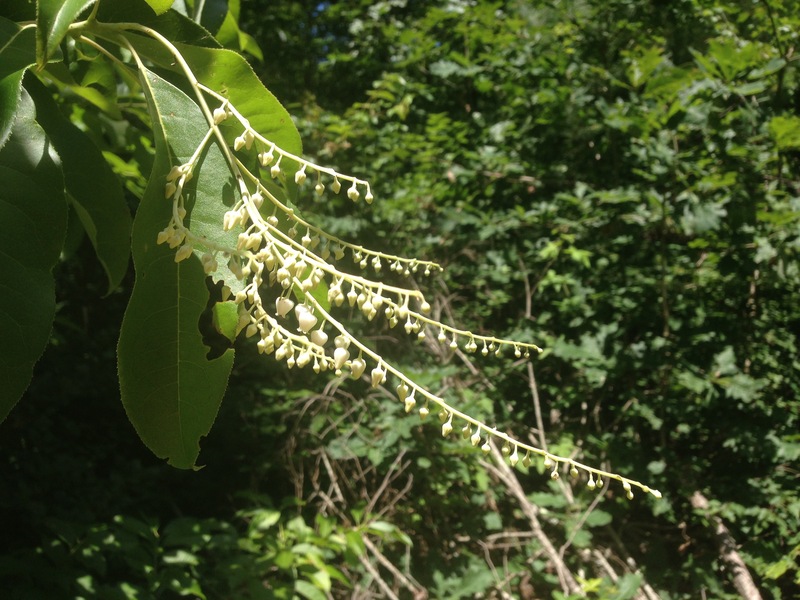 Sourwood or sorrel tree, Oxydendrum arboreum can produce good amounts of nectar the bees turn into a distinctly delicious varietal honey. These trees usually only grow in high enough numbers to produce honey in higher elevations, although they do make nice ornamental trees at any elevation in our area. They are a native tree, and can occur fairly densely in oak-heath forests of the Appalachian and Cumberland mountains. However, good sourwood honey producing locations can be hard to find, and a good season is not guaranteed in any year. This makes true sourwood honey fairly rare, so buyer beware if you see it in large chain stores. Sourwood honey has a buttery taste and it color is usually hazy, and often tinged with red, perhaps from sumac that flowers near the same time. It is never clear. It can be extra-light to amber in color, but should still have some haze to it, in my experience. It is extremely aromatic with a distinctive rich honey flavor. Anything we sell labeled sourwood honey, is just that, and its taste is distinctly different from other honeys. Not that our other honeys aren’t just as awesome too! Previous Previous post: Science Fair: Pollen Power!